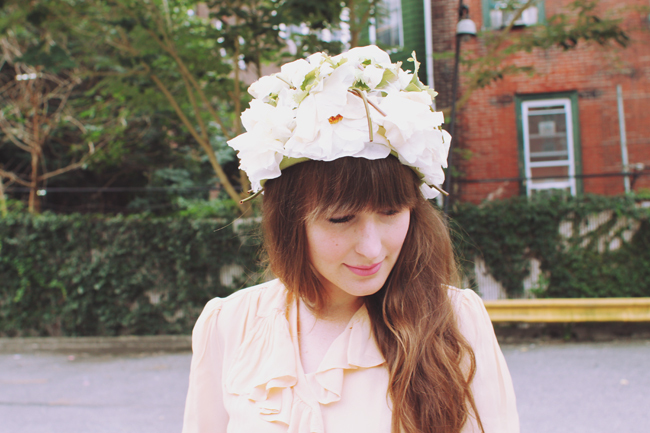 This ridiculous (read: awesome) floral hat was a gift from my brother's girlfriend. 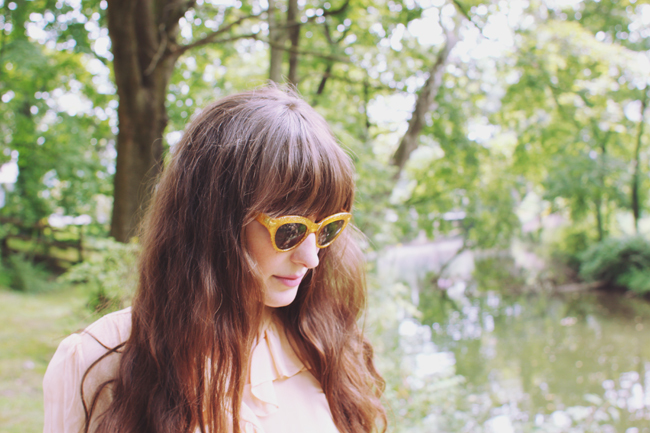 She found a bunch of amazing vintage pieces while cleaning out the house of her late grandmother, an extreme hoarder with impeccable taste. This hat and a few other goodies happened to be stashed in the back of a closet for over a decade and now they belong to me. I wore this outfit last weekend for a day trip with my mom to the adorable towns of New Hope and Lambertville, antique store heaven. I'll be sharing more photos of this soon, there were too many for just one post! Oh my gosh. I literally found this identical hat except in peaches and yellows a few weeks ago and knew i'd be a fool not to buy it. I think you might pull it off a tad better though, haha : ) you look so darling as usual and I hope you are having fun in all of your adventures! you look so beautiful! and fantastic hat, you work it so well! Ohh, wow! The hat is AMAZING Ashely! I am so so so in love! 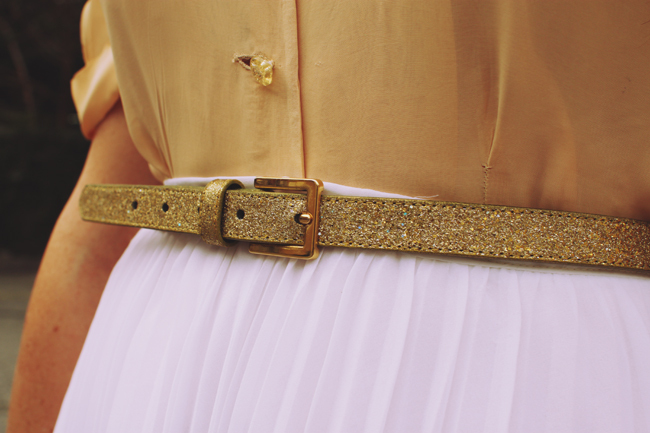 <3 and the glitter belt too - what a beauty! So pretty! 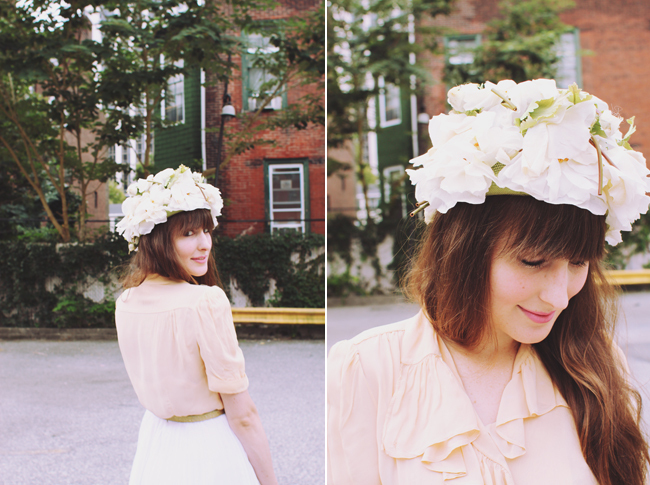 That floral hat is amazing! I am loving your hat! 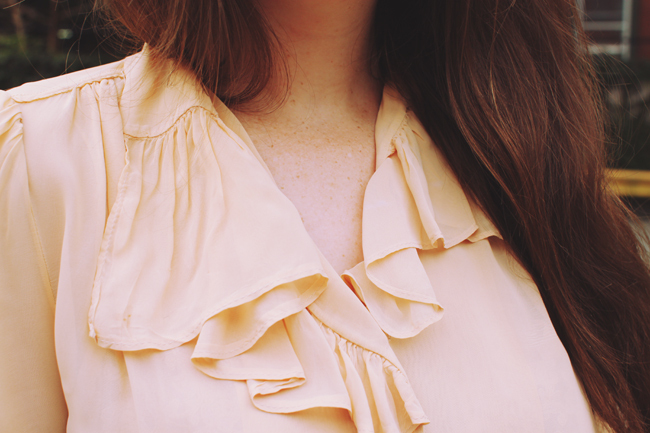 This outfit is so darling! I love both the skirt and shirt, they complement each other so well. beautiful outfit! love your blog!! love the headpiece in the first few photos. 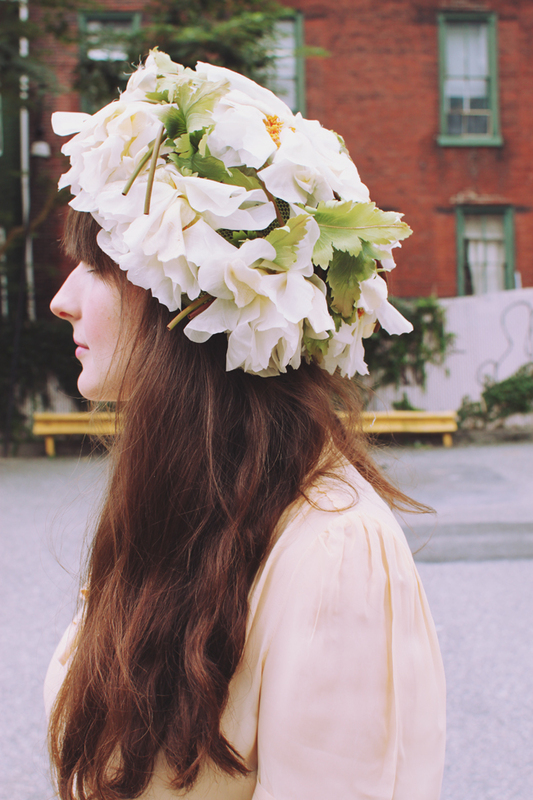 I really love your flower headpiece !